Many years ago, when I was a child living in Northeast, Ohio, my father had a white Ford Ranger pickup truck. It was a small pickup truck with a cap on the back. This truck eventually became one of my early vehicles. I have lots of great memories with that truck. Driving to Florida with Steve and Josh and packing twelve rugby players into the back during a torrential rainstorm come to mind. The thing I remember the most was the bumper sticker that my father put on the back window of the cap. It said, “Kids that hunt and fish don’t mug old ladies!” I remember hearing many comments about this bumper sticker and the quote has stuck with me for years. I grew up in a middle-class family. Both my parents worked hard to provide for my brother and I. Both of my parents enjoyed the outdoors. 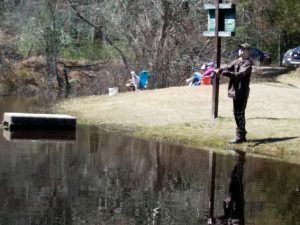 We would go fishing, take an occasional camping trip, and for many years we rented a cabin on Pymatuning Reservoir located on the Ohio and Pennsylvania line. I have many great memories from those trips. I vividly remember building paper airplanes with my grandfather, fishing off the dock, taking out the boat to go fishing by myself, and learning how to sail. We also did a little hunting growing up. I remember rabbit hunting with my dad and some of his co-workers. I was often utilized as the “dog” and would have to jump in the rabbit habitat. I also recall getting lost on a deer hunting trip. I’m not sure if my mom ever heard about that one. I learned a lot during these fishing and hunting trips. I learned about the environment, life, death, safety, and a strong appreciation for the outdoors. I also learned many life skills, like patience, hard work, and perseverance. During my year as NASSP president, I have had many opportunities to reflect on my professional and personal life, I recognized that I had not done much hunting and fishing over the last few years. More importantly, I realized that I was not sharing the outdoors with my own children. I was letting the day to day grind of my professional life impact the interests from my personal life. 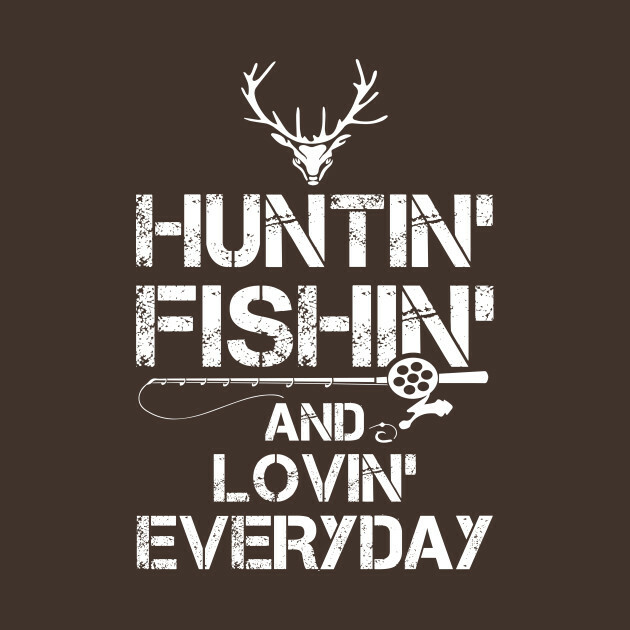 So I have been trying to make a concerted effort to share my love for hunting and fishing with my kids. 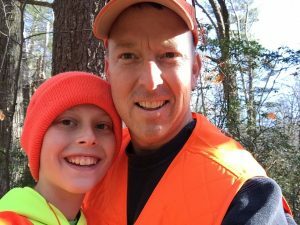 Last summer, my son and I went through the Rhode Island Hunter Certification Program. Andrew beat me by a point on the final exam. We are currently prepping for a spring turkey hunt later this month. 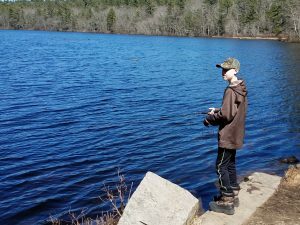 During spring break, we tried fishing in two new ponds in the southern part Rhode Island. We didn’t have much luck, but we experienced a beautiful spring day (something we have not had a lot of this year) and some quality time hanging out. I am sharing my experience because I believe we have a balance problem in our schools. Schools are responsible for so much more than academics. 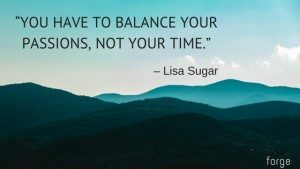 Teachers, administrators, and students are struggling to find balance in their lives. I see it with teachers, especially those with young families or aging parents. I see it with administrators who struggle with the daily challenges operating a building and then spending 3-4 evenings away from their families attending school committee meetings, proms, and sporting events. I see it with students who have school responsibilities, a part-time job, and music or athletics after school. I worry about the long-term social and emotional health of teachers, administrators, and students. We need to force ourselves to step back, pause, and catch our breath. I believe it will help all of us become more productive, focused, and happier and it might even save your life. So one of my goals, as I transition back to my role as principal of Smithfield High School, is to carve out more time to get outdoors. I want to spend more time hunting and fishing with my family. Hopefully, my kids will have many great memories when they reflect on their childhood. This is an insightful piece of writing that parents, educators and students should take to heart. The message is one that we as a society better start listening to because we’re all running so fast to keep up, but I fear we’re all running in the wrong direction. Great blog that can be used to foster many professional conversations. This post gives me faith in our profession again! Well done. I think we—- the collective we in education —- lost our way for the last decade or so at least. Jumping on every bandwagon and making education more about data than about students – real human beings! Thanks for this post. It’s powerful.